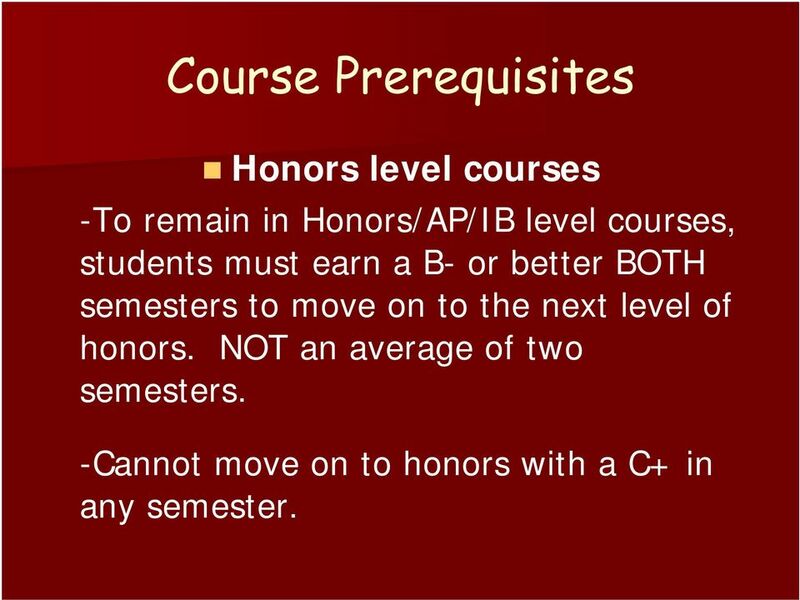 6 Course Prerequisites Honors level courses -To remain in Honors/AP/IB level courses, students must earn a B- or better BOTH semesters to move on to the next level of honors. NOT an average of two semesters. -Cannot move on to honors with a C+ in any semester. 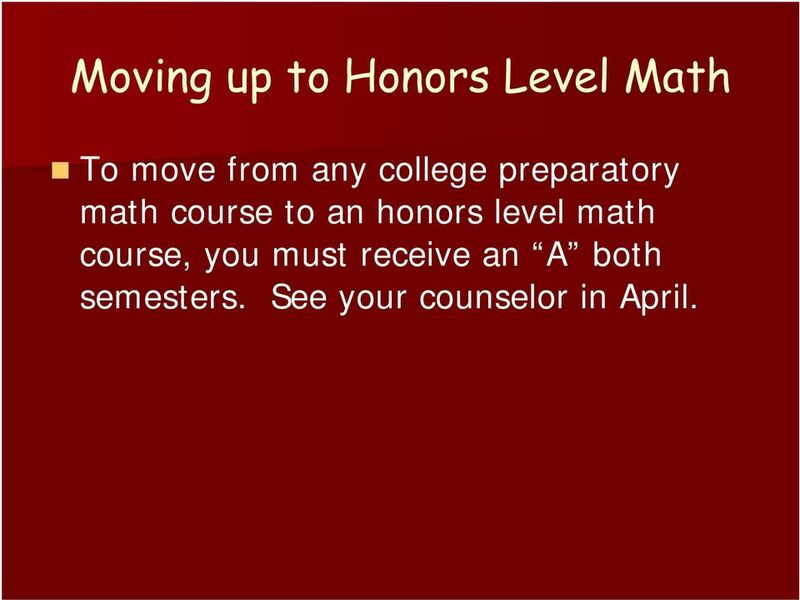 13 Moving up to Honors Level Math To move from any college preparatory math course to an honors level math course, you must receive an A both semesters. See your counselor in April. 20 Visual Communications Formerly Graphics. Learn basic concepts of digital art and graphic design by developing a series of two and threedimensional projects that involve principles of design, color theory, typography and application of historic and contemporary styles. 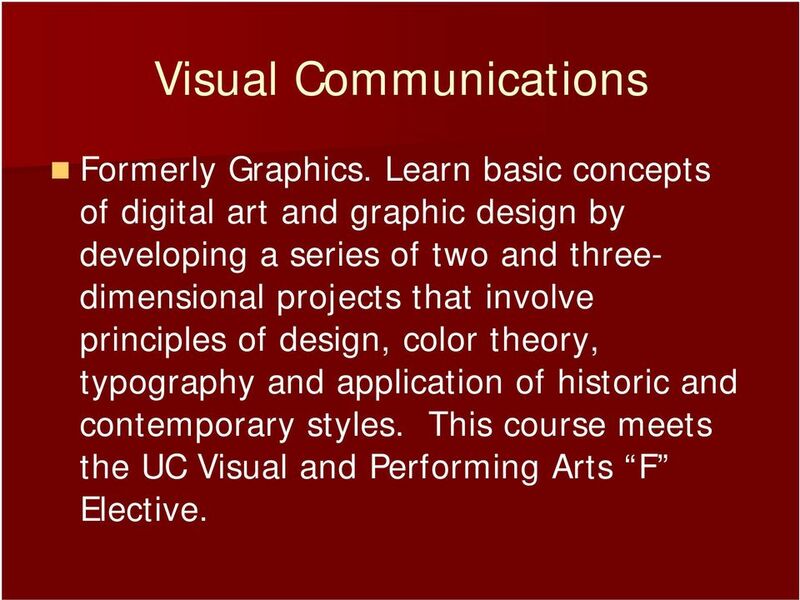 This course meets the UC Visual and Performing Arts F Elective. 21 Health Fitness/Sports Medicine Learn how to prevent sports injuries by the use of proper body mechanics in exercise. Also, recognize and evaluate sports injuries when they occur, and study rehabilitation methods and current treatments. Access health fitness to develop an exercise regimen to maintain and promote physical well-being. Articulates to some community college. 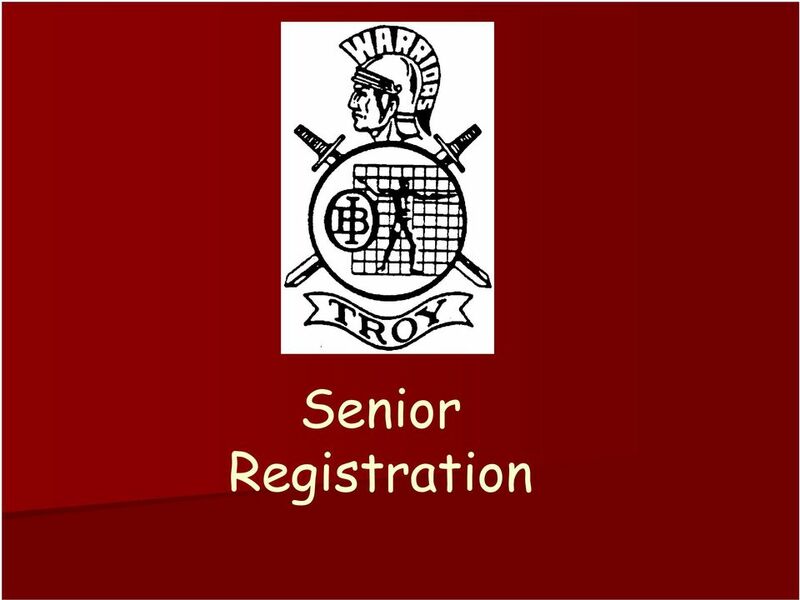 23 Registration Guidelines SENIOR REGISTRATION 2015/16 A. 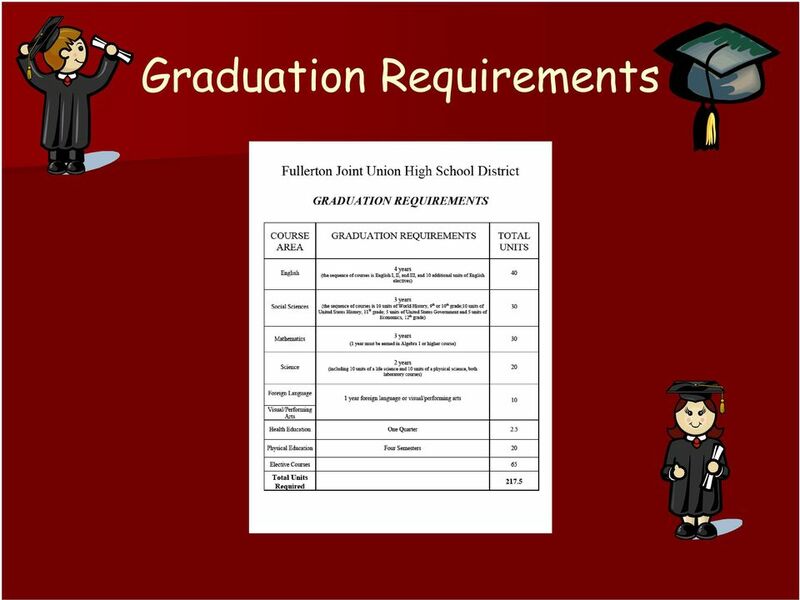 PLEASE CHECK THE ONLINE CATALOG FOR GRADUATION REQUIREMENTS. B. 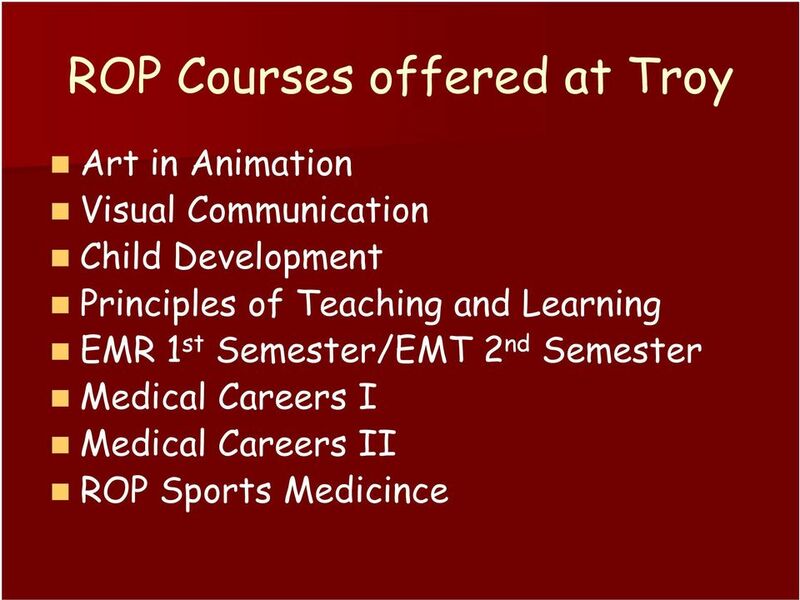 Enter the Course Number and Title of your courses on the Registration Card. Please copy the numbers correctly. Write clearly. 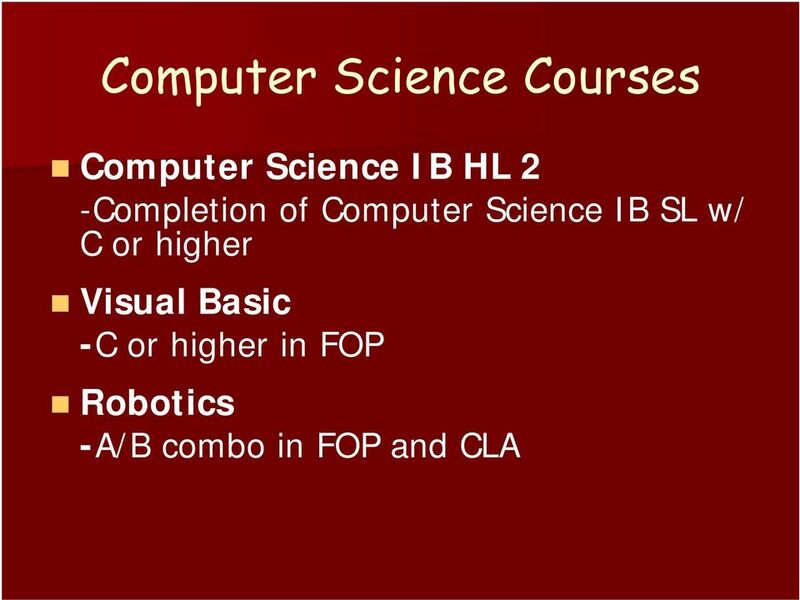 Enter all 1st and 2nd semester course numbers. C. As a Senior next year, it is expected that you will take 30 credits (6 classes) each semester. 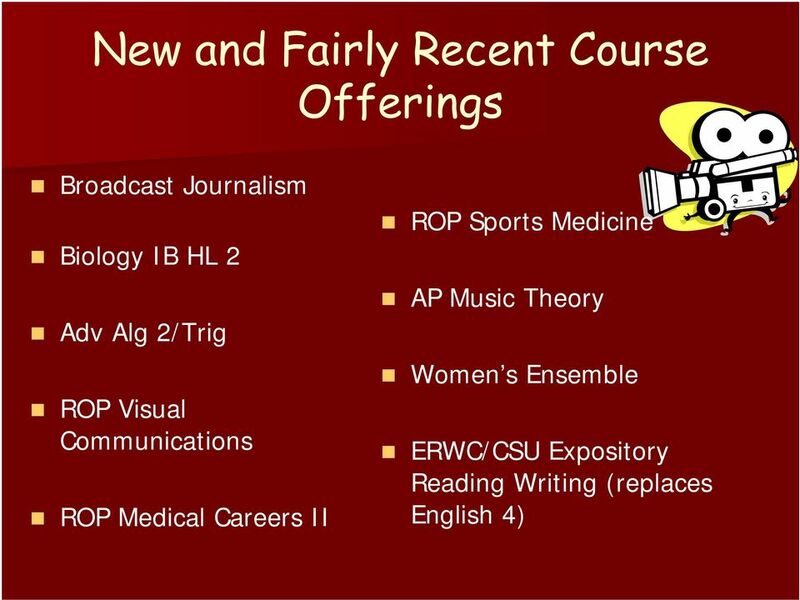 You will be required to take a minimum of 5 classes each semester including the following required courses. Please make sure that they are listed in the correct space on the Registration Card. Check your transcript to determine credits and courses already completed. 1. 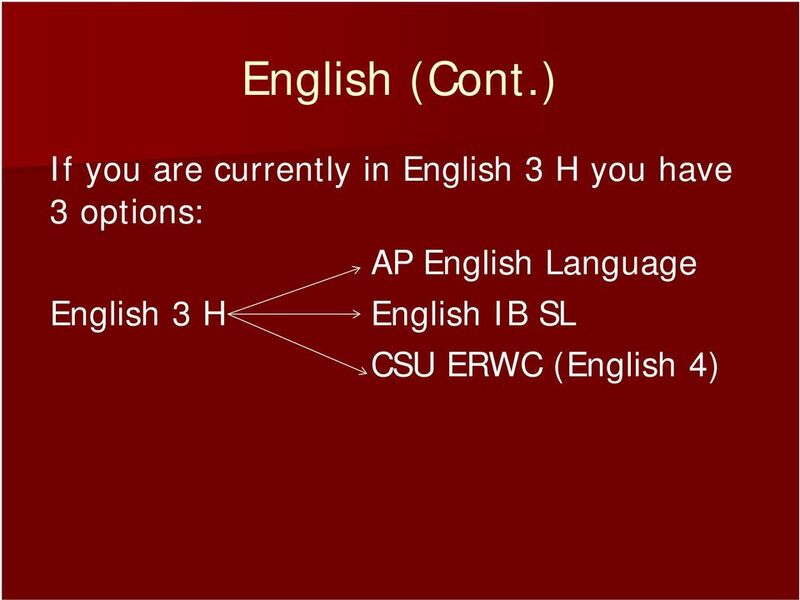 ENGLISH 4 - CSU ERWC (0316), AP Language & Composition 0322, English IB SL 0317, and English Lit & Comp AP (334), one year; 10 credits. 2. 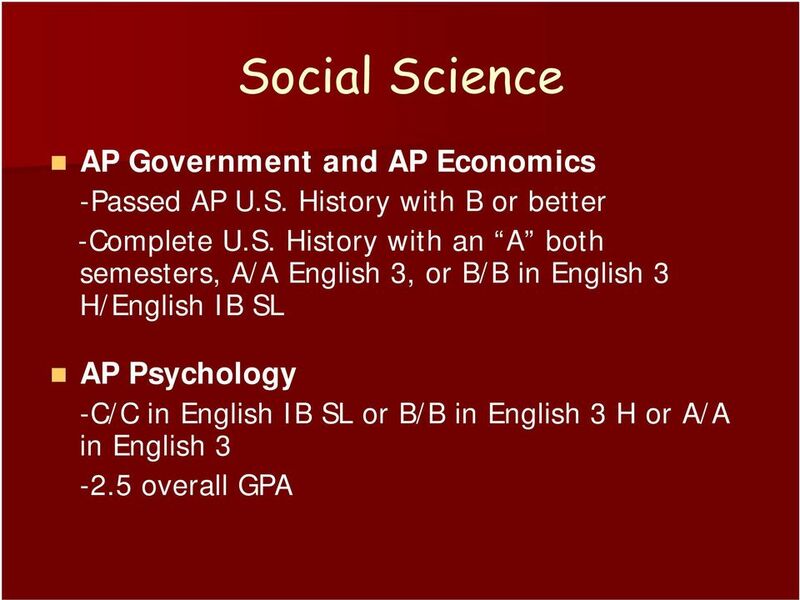 AMERICAN GOVERNMENT (801)/ECONOMICS (813), Economics Macro AP (0821A)/AP Gov t./politics:us (1827); one year; 5 credits for each semester. 3. 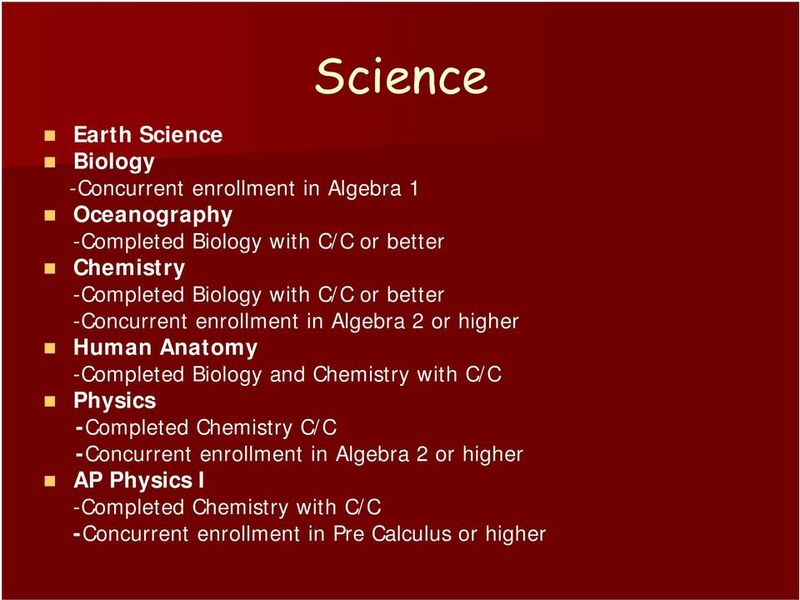 SCIENCE - Two years; 20 credits are required to graduate (10 credits of a Life Science and 10 credits of a Physical Science). 4. 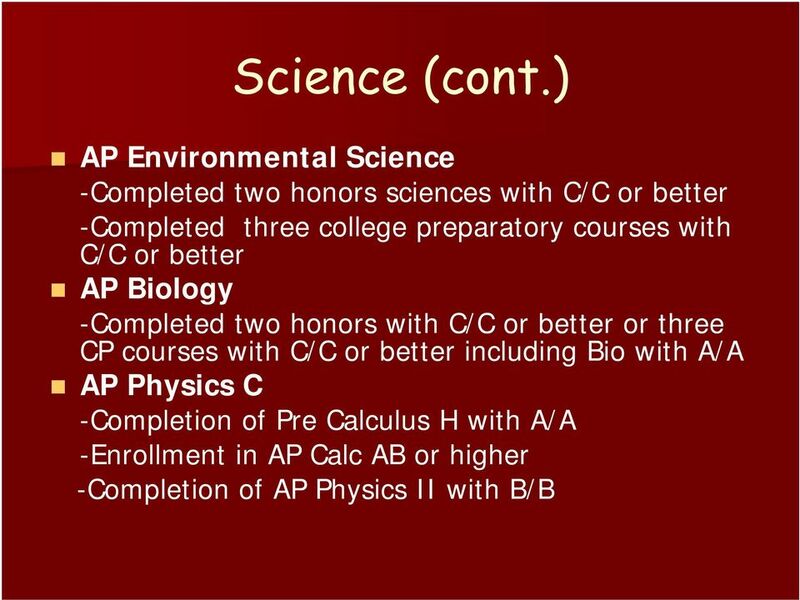 PE or SPORTS - If 20 credits have not been completed in grades Sports requires a teacher recommendation. 5. 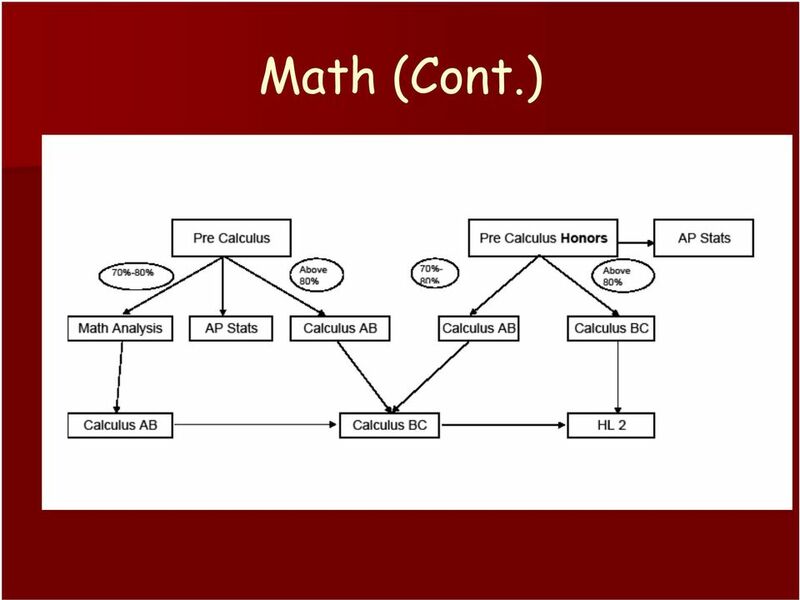 MATH Three years; 30 credits are required to graduate. One year of math must be completed in Algebra I (10 units). 6. VISUAL AND PERFORMING ART/FOREIGN LANGUAGE One year of a visual and performing art or one year of a foreign language. 7. 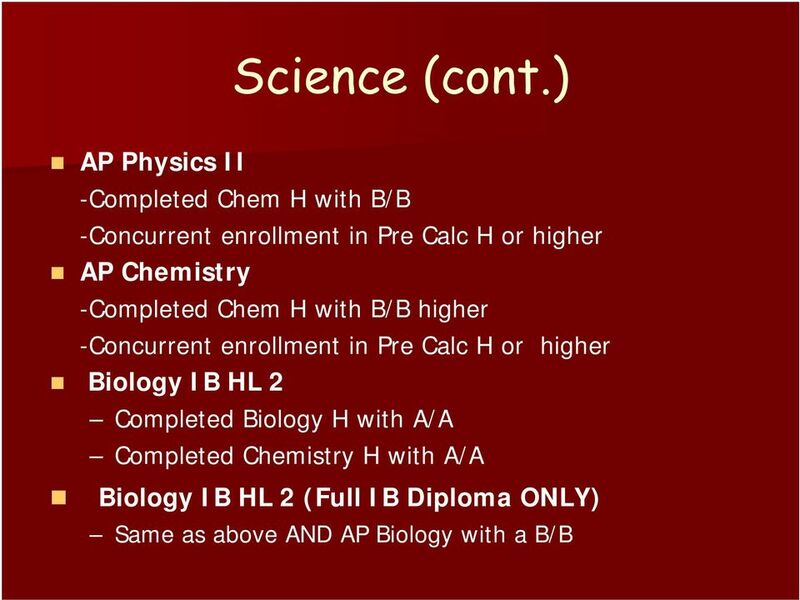 Any other graduation requirement that should have been completed in the first three years. Please check your transcript and graduation status report carefully to see if you earned less than 5 credits per semester in a required course. 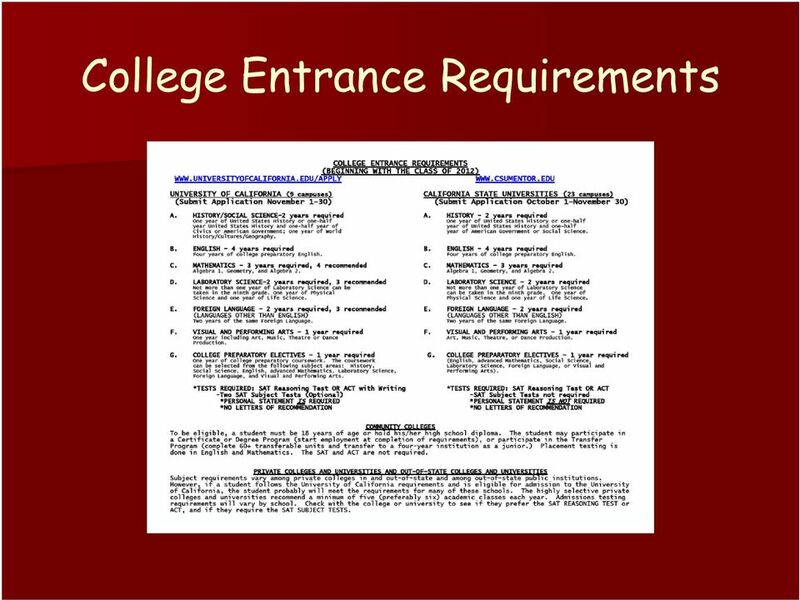 D. If a course you choose requires a teacher recommendation, you must have that teacher s signature on the proper line of your registration form before you will be enrolled in the course. E. Enter your 7th period class in the space above alternate classes on the Registration Card. 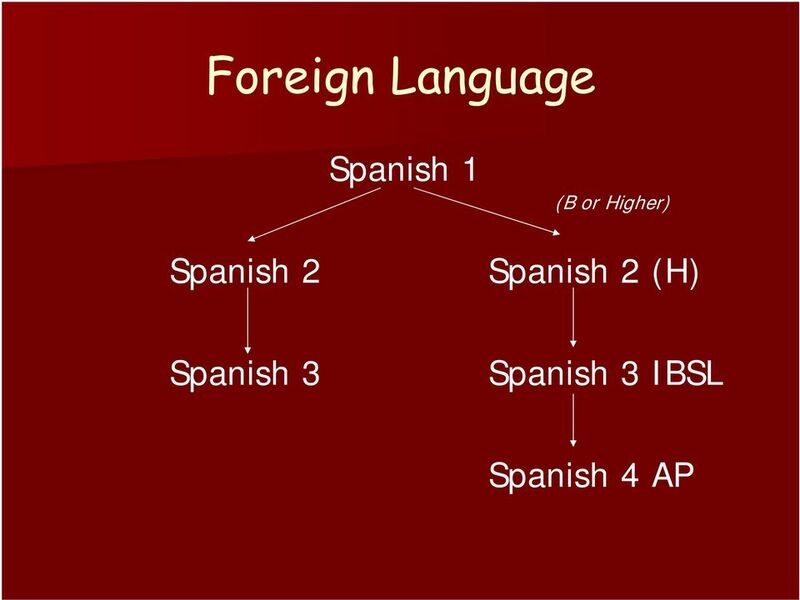 This section may be used for Troy Tech and IB Classes. 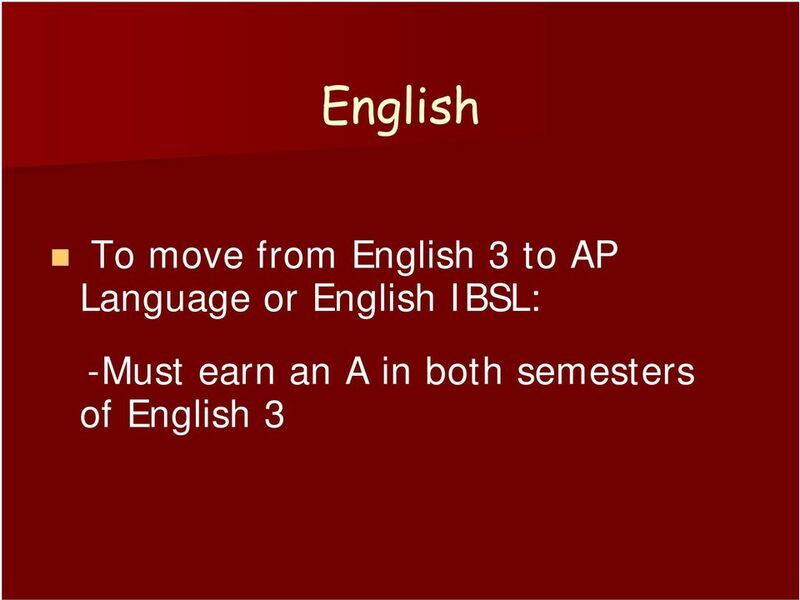 F. Select 2 alternate classes for electives. This is mandatory in case a class you have chosen is full or cancelled. 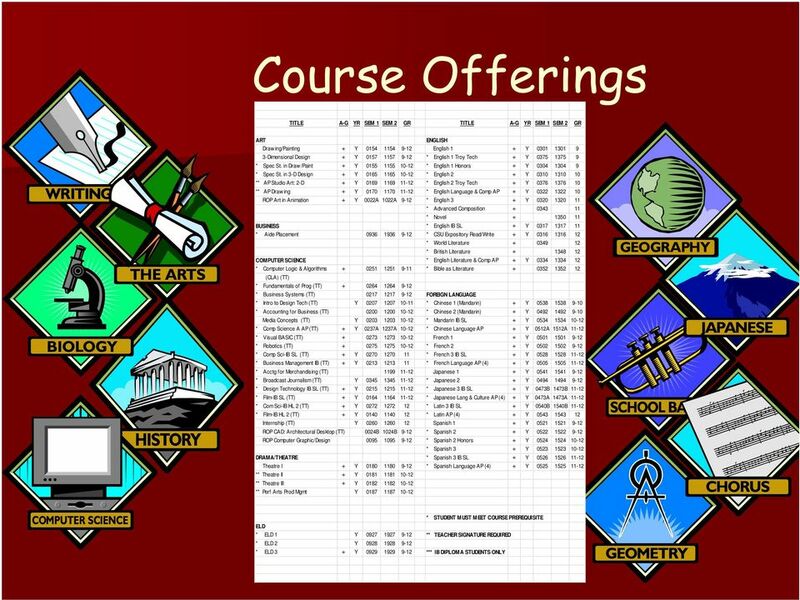 The alternate course you select will be placed on your schedule if your first choice class is unavailable. 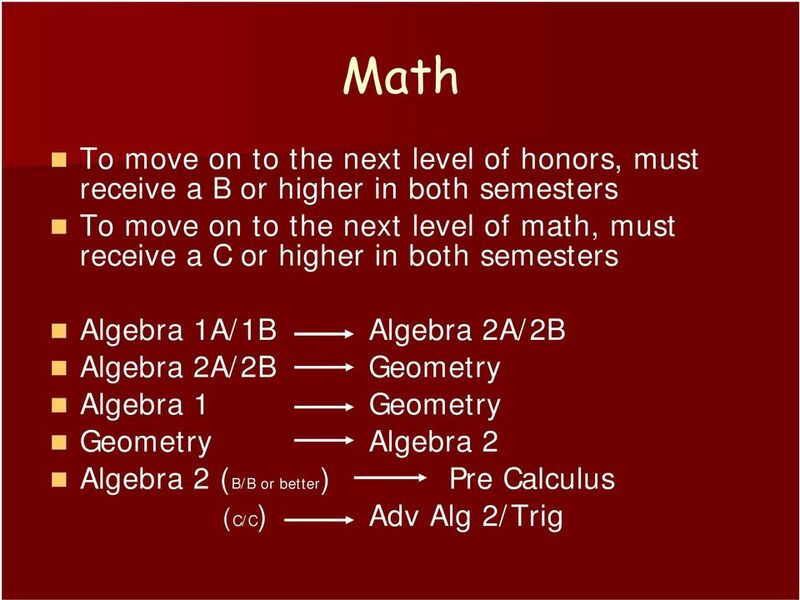 G. Remember that the California High School Exit Exams (CAHSEE) in English Language and Mathematics must be passed to meet District graduation requirements. 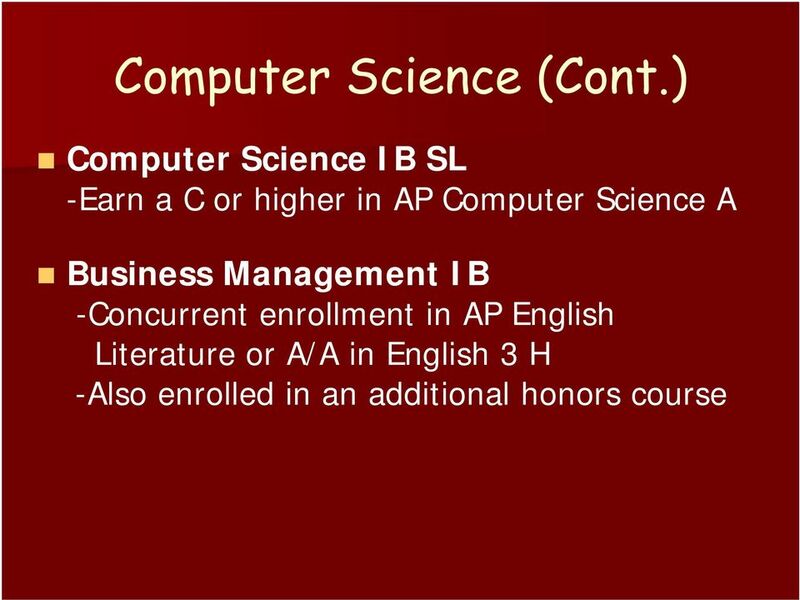 In addition to the CAHSEE, students must also pass Health (2.5 units) and the Computer competencies for graduation. 30 Master Schedule The Master Schedule is built on the number of student requests. Therefore, please select your classes and level of classes wisely because your course selection on your card may be final.